Daniel Neo, chief operating officer at Sompo Holdings Asia has been promoted to regional chief executive of Sompo Holdings Asia, starting the role today. Sompo Holdings Asia represents Sompo’s presence in the Asia Pacific region excluding Japan; the Japanese firm employs 4,000 people across 14 markets in the region and provides a mix of personal and business insurances. Neo (pictured) has succeeded Yuji Kawauchi, who has returned to Tokyo for Sompo Holdings to assume the role of executive vice president of global business planning. Sompo Holdings has operations in 30 countries and over 200 cities; in addition to Asia it has a presence in Africa, Europe, the Middle East and South America. As regional CEO Singapore-based Neo is responsible for operations, management and administrative activities of the region; hee also holds directorship positions in Sompo subsidiaries in Asia. Neo previously served as chief executive of Sompo Insurance Indonesia from 2015 to 2018. Prior to Sompo, Neo began his insurance industry career in 1997 with Allianz, where he worked until 2015. 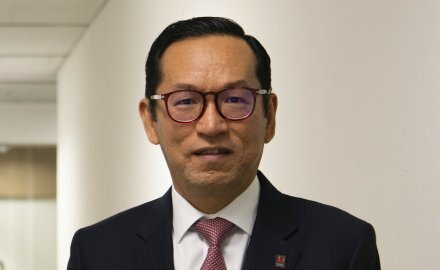 Meanwhile, Yasuhiro Sasanuma has replaced Neo’s role as regional chief operating officer for Sompo Holdings Asia; Sasanuma was previously executive director, head of corporate planning and is already based in Singapore.